David Morris is co-founder and vice president of the Institute for Local Self-Reliance and directs its Public Good Initiative. Founded in 1974, the Institute provides innovative strategies, working models, and information to support environmentally sound and equitable community development. Morris studied labor economics at Cornell University. After working at the Institute for Policy Studies in Washington, DC, in the late 1960s he moved to Chile, where he started a news service. While there he wrote a book called We Must Make Haste Slowly: The Process of Revolution in Chile. He returned to the United States in 1971 and joined the faculty at Roger Williams College, teaching in the University Without Walls Program. 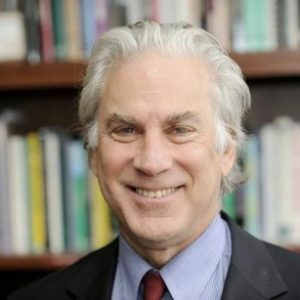 He has been a pioneer in advocating that scale, ownership, and equity should guide public policy at all levels including for policy makers, businesses, environmentalists, and the general public. His work focuses on how cities can exercise their authority to address climate change, inequality, and economic development. He envisions a future where information is global but materials and products are as much as possible grown, processed, or made regionally. He is the author of five books, including Neighborhood Power (1975) and Self-Reliant Cities (1982), that range from an analysis of Chilean development to the future of electric power to the transformation of cities and neighborhoods. His columns have appeared in over 200 magazines, journals, and newspapers, including The New York Times, The Wall Street Journal, The Washington Post, Japan Times, International Herald Tribune, Smithsonian magazine, and Journal of Commerce. His essays on public policy are regularly published by On the Commons, Alternet, Common Dreams, and Huffington Post. David Morris has been a consultant to local, state, and federal governments in the U.S. and abroad as well as to companies as large as IBM and as small as microbreweries. He has served as an advisor or consultant to the energy departments of Presidents Ford, Carter, Clinton, and George W. Bush. Contact David Morris about speaking terms and dates.